Grade School Science Lesson: Can You See Air Pressure? Review the causes of atmospheric pressure. Discuss how the water level in the straw can be higher than the water level in the bottle. Discuss the effects of temperature on enclosed gas. Describe the operation of a barometer and compare it to the apparatus used in this activity. Add several drops of fod coloring to the water. Using the pen, draw marks on the drinking straw that are 1 cm apart. Pour colored water into the empty soda bottle until the bottle is about 1/3 full. Hold the straw in the water until it is just below the surface of the water. Seal the straw securely in place with the clay. Use the dropper to drop water into the straw until it is about halfway up the straw. Place your air pressure bottle in a place where the temperature will remain fairly constant. Measure the height of the water in the straw, starting from the marks at the bottom. Record your measurement in the data table. Measure the height of the water in the drinking straw for several days. Record your measurements in the data table. Have students write a short paragraph explaining how air pressure can be observed. For an extension activity, discuss the use of barometers. Barometers help predict the weather. When the air pressure drops, it often means rainy weather. High pressure readings mean fair weather. Over the period of several days, use a barometer. Have students record their observations. Can the barometer predict the weather? Have students explain their conclusions. 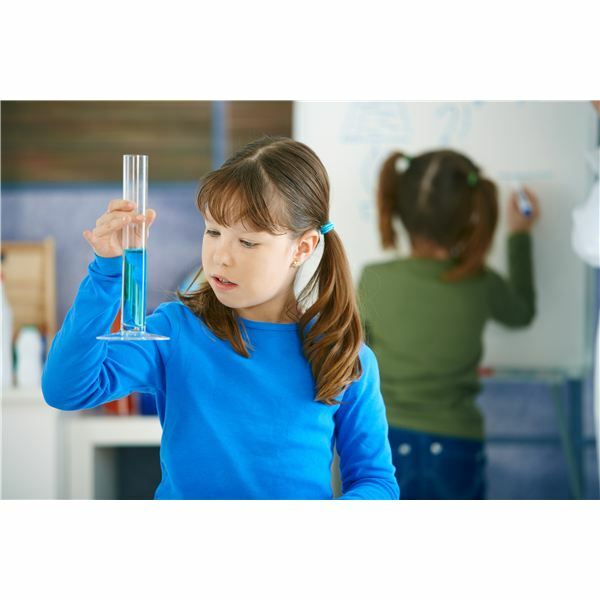 Science activities that allow students to experiment with air pressure. Science Activity: How Do Pressure Changes Affect the Wind? Science Activity: How Can You Observe the Pressure of Air?